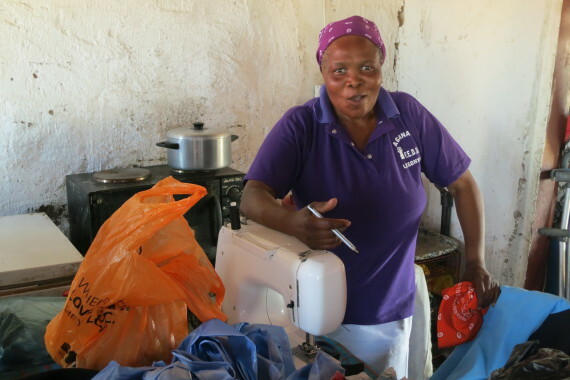 If about 25% of South Africans are unemployed, this percentage is even higher for communities living in informal settlements – a reality that is no different for the members of the South African Federation of the Urban and Rural Poor (FEDUP). 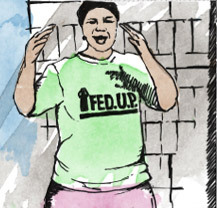 Since the early 1990s, FEDUP members have identified their own development needs especially around accessing well-located land, security of tenure, improved shelter, housing and basic services. Through the practice of daily savings and other community organisation tools, FEDUP has built partnerships with government on all tiers and has negotiated access to many of these needs. Yet the lack of income generation has posed continuous instability and hardship on a day-to-day basis. Over the last years, therefore, FEDUP has identified the need to strengthen the income generation opportunities of its members and in 2014 launched several livelihood programs. While these programs assist members to start their own small businesses and the movement as a whole to generate its own income and build its own assets, they are at the same time initiatives that reinforce the importance of the rituals of Shack/ Slum Dwellers International, such as daily savings. 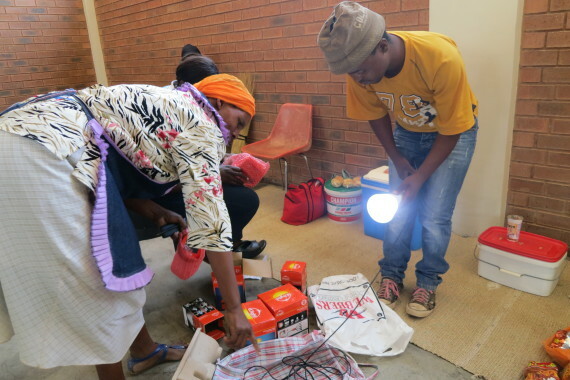 Total South Africa (TSL) introduced solar lamps by Awango and entered a contractual partnership with uTshani Fund to provide FEDUP members with economic opportunities of buying Awango solar lights from uTshani Fund and selling them to potential buyers e.g informal settlement communities and businesses. Although the emphasis is on FEDUP members this opportunity is also open to non-FEDUP members who are keen to do sales. This year a total of 314 people (307 FEDUP members) in seven provinces were trained as resellers. Training includes a presentation on the available products, how they operate, durability and logistical aspects of the business. After training each reseller ideally buys at least one of each type of solar light (3 in total). 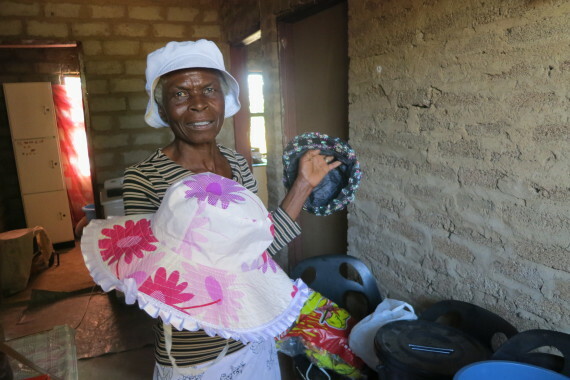 The solar lights business is aimed at members who already run an income generation initiative and are seeking to diversify their products – this would provide the financial platform for securing the first stock. Amidst successes, the program experienced challenges in terms of sellers lacking sufficient start-up capital as well as insufficient sales experience. In response FEDUP members are devising strategies to support the growth of businesses and sellers’ capacities such as exposing sellers to more in-depth training in sales skills and exploring the potential of connecting with the Small Enterprise Finance Agency (SEFA) around increased support for start-up loans. The South African FEDUP Funeral Scheme (SAFFS) grew out of a desire expressed by FEDUP to bury its members with dignity and honour. 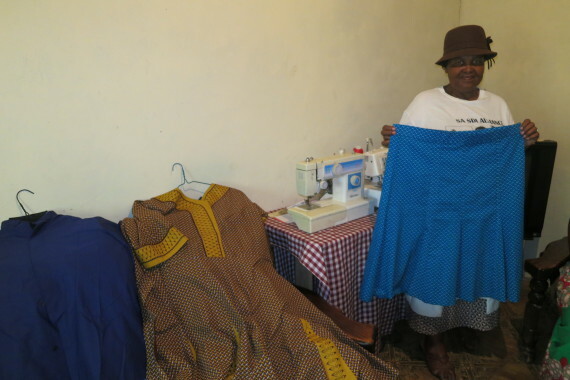 SAFFS started its full operations in March 2014 and operates as an understudy to Imbalenhle Burial Society (IBS). 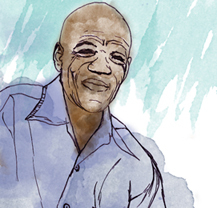 It is underwritten by TransAfrica Life Funeral Policies, who are registered with the Financial Services Board of South Africa (FSB).SAFFS currently works in association with IBS to learn how to administer a funeral scheme with the intention of going solo. FEDUP members sell the funeral scheme to own members as well as the public and have sold an estimated 600 schemes to date. Sellers are compensated per policy sold. The loan program is a formalisation of the loans that FEDUP members access at individual savings scheme level. While this practice will continue, the FIGP is an initiative to expand the scope of these loans to support FEDUP members in income generation activities of their choice. These criteria ensure that members continue saving and support one another in the development of their respective businesses because individuals can only receive loans when they are in a group of five. The whole group must also make repayments as one overall sum. Therefore individual success depends on group success. In this way FEDUP broadens the scope of its livelihood programs, strengthens its membership base and positions itself toward financial sustainability within the next five years. The year 2015 will definitely mark FEDUP as another recognised, fully registered and compliant microfinance in South Africa. Through this initiative FEDUP will also be able to approach funders and private organisations to leverage further resources. What lies behind these varying income generation initiatives? On the one hand, FEDUP’s step towards financial sustainability to ensure continued existence in the case of decreased donor-funding. On the other hand, and at the heart of the matter, lies savings, the engine of FEDUP that enables poor women to come together, share their experiences – struggles and triumphs – and find solutions. As the income generation programs require savings and start up capital they strengthen FEDUP’s savings practices. Strong savings in turn build a strong group and a strong community, which widens opportunities within the income generation programs themselves. 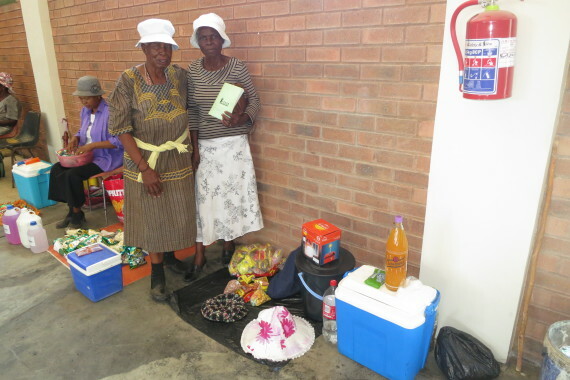 The small business of Sarah Makgopela and Elizabeth Moletese of Aganang savings scheme in Legonyane, North West province.